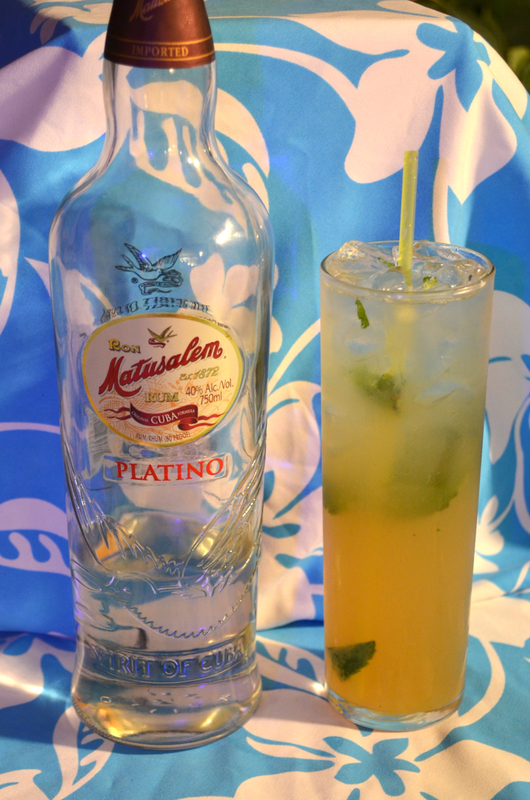 5 Minutes of Rum episode 13: Silver Dominican Rum, Ron Matusalem Platino, and the Mojito. Gently muddle this together in the glass. The goal is similar to spanking the mint - you want to break some cells to release the mint's oil but not shred it. Fill 3/4 of the way with ice, stir until glass frosts. Top with soda. Stir again to combine.